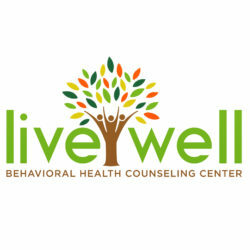 Welcome to Livewell Behavioral Health Counseling where we provide therapy to the behaviorally, emotionally, and spiritually challenged. Our ideal client is one who is willing and committed to addressing the emotional impact their trauma had on their lives to work towards a healthier self. We treat our clients using evidenced based practices such as EMDR to address chronic and enduring mental health issues, marital problems, sexual traumas, as well as anxiety and depression. Here at Livewell we pride ourselves on providing mental health services to the community at large. Our clients come from diverse backgrounds, cultures, and have various life experiences . Our staff are trained to provide a broad range of therapies for individuals, couples and families as well therapy for children and teens. Our diverse staff has experience and training in areas such as attachment, grief and loss, trauma, ADHD, divorce, co-parenting, and depression among others. Our philosophy here at Livewell is to provide sound therapeutic services for the behaviorally, emotionally, and spiritually challenged no matter your ethnicity, sexual orientation, socio-economics or belief system. Our staff has knowledge and experience providing therapeutic services for clients who seek similarity through culture and ethnicity. Our therapeutic approach affords a unique perspective to work effectively with multi-ethnic and multi-cultural groups including the LGBTQ community . Christian counseling is available for those where spirituality is used as a foundation for healing. Eye movement desensitization and reprocessing (EMDR) is a fairly new, nontraditional type of psychotherapy. EMDR is a psychotherapy that enables people to heal from the symptoms and emotional distress that are the result of disturbing life experiences. At Livewell we are trained and certified in using this therapeutic approach to help people who suffer from trauma, anxiety, panic, disturbing memories, post traumatic stress and many other emotional problems. Cognitive-behavioral therapy (CBT) is a form of psychotherapy that treats problems and boosts happiness by modifying dysfunctional emotions, behaviors, and thoughts. We here at Livewell utilize CBT to help our clients focus on challenging and changing unhelpful thoughts and behaviors, improving emotional regulation, and the development of personal coping strategies that target solving current problems. Eye movement desensitization and reprocessing (EMDR) is a fairly new, nontraditional type of psychotherapy. EMDR is a psychotherapy that enables people to heal from the symptoms and emotional distress that are the result of disturbing life experiences. This technique has been very successful in helping people who suffer from trauma, anxiety, panic, disturbing memories, post traumatic stress and many other emotional problems. Child counseling is a specialized area of psychology focused on working with children who have a mental illness, have experienced a traumatic event, or are facing a difficult family situation. Child therapy focuses on breaking these problems down so that children can understand and make sense of them. Our therapist have experienced utilizing PCIT or (Parent Child Interaction Therapy) and Trauma Focused CBT to address your child's needs. Relationship counseling is the process of counseling interpersonal relationships in an effort to recognize, and to better manage or reconcile, troublesome differences and repeating patterns of stress upon the relationship. We here at Livewell provide a safe and non-judgmental environment to help couples address issues that affect the relationship. Post traumatic stress disorder is an anxiety disorder that develops following frightening, stressful, or distressing life events. Characterized by intense fear, helplessness, and stress, PTSD affects normal life and functioning of the patient. We offer treatment of trauma symptoms using EMDR(Eye Movement Desensitization and Reprocessing), an evidenced based practice specific to treating and relieving the symptoms of trauma.